Noah: All I got is a broken nose and a bunch of recollections. You got recollections, boy? Noah: You young yet. They accumulate. Believe me. Courtesy of Sire Records/ZTT Records Ltd./Warner Music UK Ltd. The fierce emotion and desire that consumes this movie makes it not only entertaining but majestic. 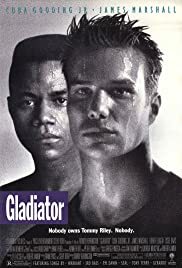 The performances of James Marshall and Brian Denehy are brilliant as are those by supporting actors Cuba Gooding Jr. and Robert Loggia. The movie captures the essence of the streets of Chicago and the fight of two men to beat the odds. I feel like I'm writing the trailer to the movie but that's just because I feel so inspired when I think of the Gladiator. If you don't like boxing then don't see it. 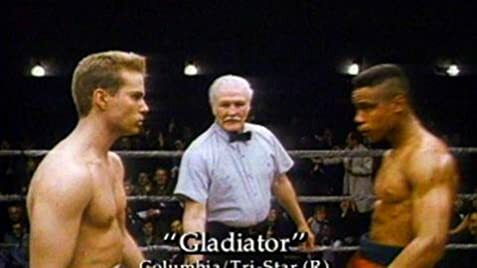 But if you are a true fan of boxing (like the Golden Gloves) then the Gladiators is a must see. You won't be disappointed.